Need to get out and about? You can find out about local transport services here. Find out about local roadworks here. 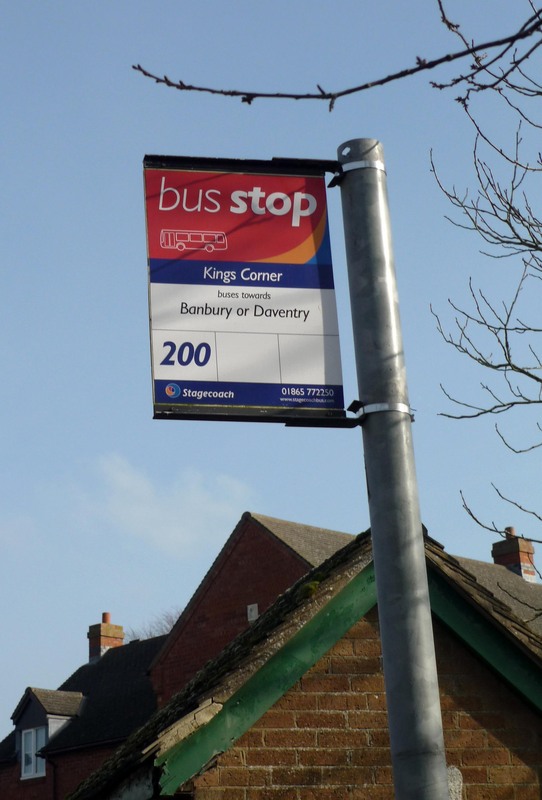 Bus services are run by Stagecoach from Woodford serving Banbury and Daventry / Rugby. The timetable is available here. Rail services from Banbury reach London, Birmingham and the rest of the country. You can find out more about rail services and view their live departures and arrivals board at the Banbury Station web site. For elderly or disabled folk needing transport for hospital appointments or other medical purposes there is the Rural Wheels volunteer transport scheme. Contact the co-ordinators Mr & Mrs Preece on 01327260878. There is also a lift-sharing group on Facebook. Northants ACRE supports a range of rural transport schemes and provides a directory of community schemes These can be found via the ACRE transport web site. The route for HS2 passes through nearby communities and we can expect some disruption on routes including the A361 during construction. The Government’s HS2 web site can be found here: HS2 Web Site.